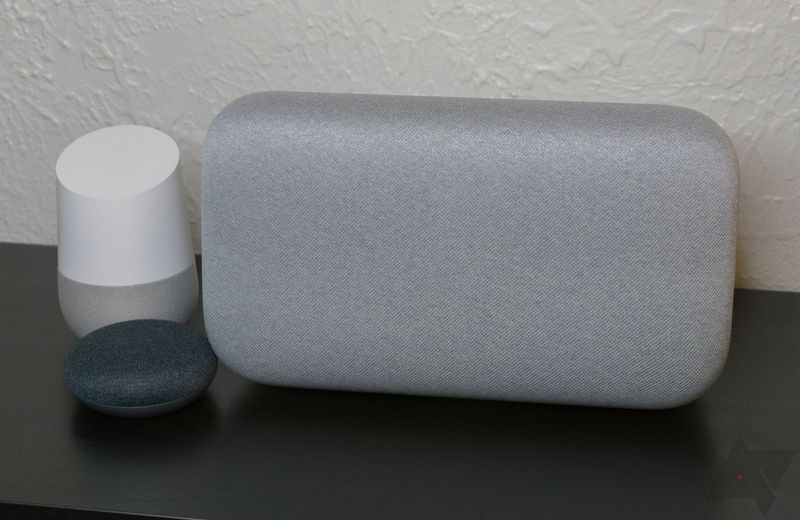 Google Home can start playback of video content from plenty of streaming services like Netflix and HBO. 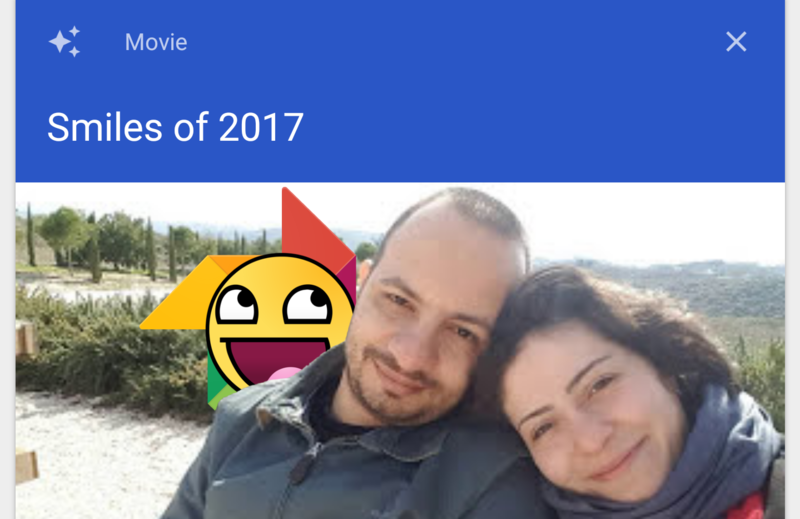 This has been a thing since shortly after Home launched, but Google's own Play Movies platform was not included for some reason. After getting some hints last week that the feature would arrive, it's now official. It's getting ridiculous at this point. Google Home has been available for over a year and despite the slow initial rollout of video services, things have picked up with Netflix being joined by CBS, HBO NOW, YouTube TV, CW, and most recently Viki. Now there's another one joining the fold of video partners and, no, again, it is not Google Play Movies. It's Crackle. Crackle is an online streaming service owned by Sony and, according to Wikipedia, it is available in 21 countries. It's free and ad-supported, and it features original content as well as movies and TV shows from partners such as Miramax, MGM, Universal Studios, The Walt Disney Company, and more. Today's the day! Grab your movie here. Maybe you can even zip down to the corner store for some snacks and get a pre-Halloween party going. Following the exclusive launch of Peter Dinklage's Rememory on Play Movies, Google doesn't seem to be slowing down and is already at it with another exclusive for its movies and TV service. This time, forget the drama, we're full on horror/thriller/gore with Amityville: The Awakening. I am not a fan of the genre — I have one heart, why torture it by watching this stuff? — so I had to watch the trailer with one and a half eyes closed. 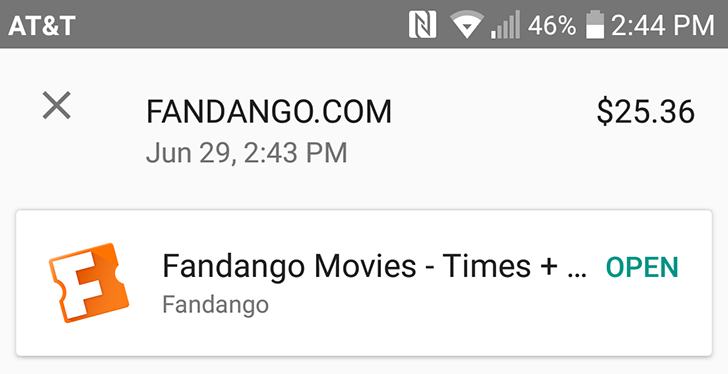 The Fandango app for Android isn't very good. It's just a web wrapper for the most part, and half the time when I try to buy tickets, the purchase times out and I have to try again. But now, there's one major reason to use it over the mobile site - Android Pay. 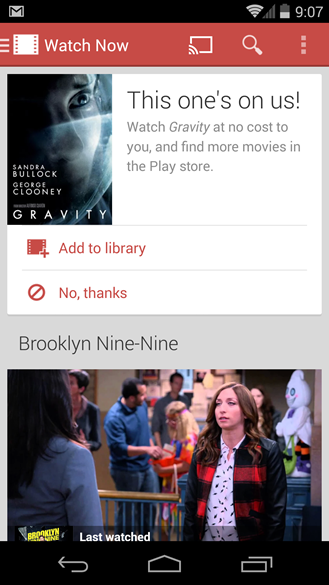 We all like watching movies, so even better when they're free on Google Play. Today Google is offering Korean film War of the Arrows for free on the Play Store for residents of Canada and the United States. The film is set during the second Manchu invasion of Korea in 1636, and features an archer who risks his life to save his sister from a lifetime of slavery. The film was praised in critical reviews for its fast pace and action scenes, and won multiple awards in the Korean film industry. In addition, it currently has a rating of 4.3 on Google Play. Have you seen Star Wars: Rogue One? Did you like the character Chirrut Imwe, the blind, force-influenced character who beat the crap out of storm troopers with nothing more than a stick and snarky one-liners? You did, great! Then you might just like this deal. You see, the actor who plays the role of Chirrut is Donnie Yen, a martial arts master and the star of the much acclaimed Ip Man trilogy. 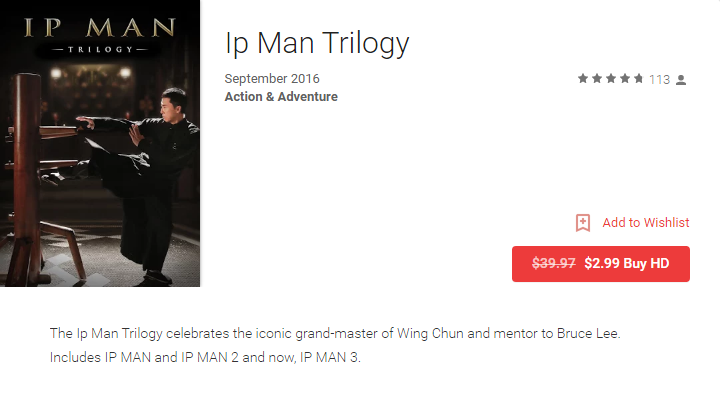 Today you can buy that whole trilogy for just $3 at Google Play, a huge savings off the normal price of $27 that you'd pay if you bought each movie individually (ignore that $39.97 nonsense, they are priced at $7, $7, and $13 if you buy them separately). Despite the fact that excitement for endless Angry Birds iterations and spin-offs more or less died over a year ago, the Angry Birds movie is scheduled to hit theaters next month. (Apparently creating a 90-minute CG movie, complete with Hollywood talent, marketing, and distribution, takes a lot longer than making a 2D physics game.) Developer Rovio is pumping up the promotion machine starting with Angry Birds Action!, a 2.5D twist on the classic slingshot formula. At the moment it's soft-launched in New Zealand, but the game should be heading to other territories well before the May movie release. 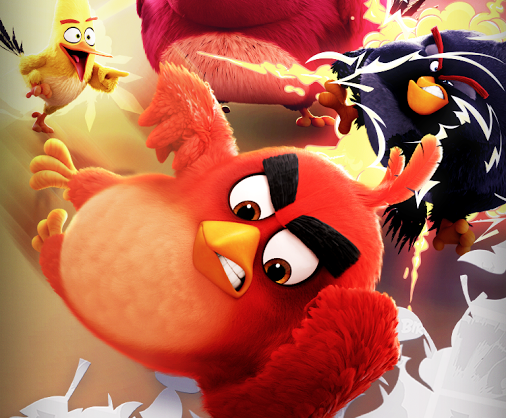 Did you think the Angry Birds movie was an insane bit of zealous over-licensing at the peak of a mobile gaming fad? You ain't seen nothing yet. 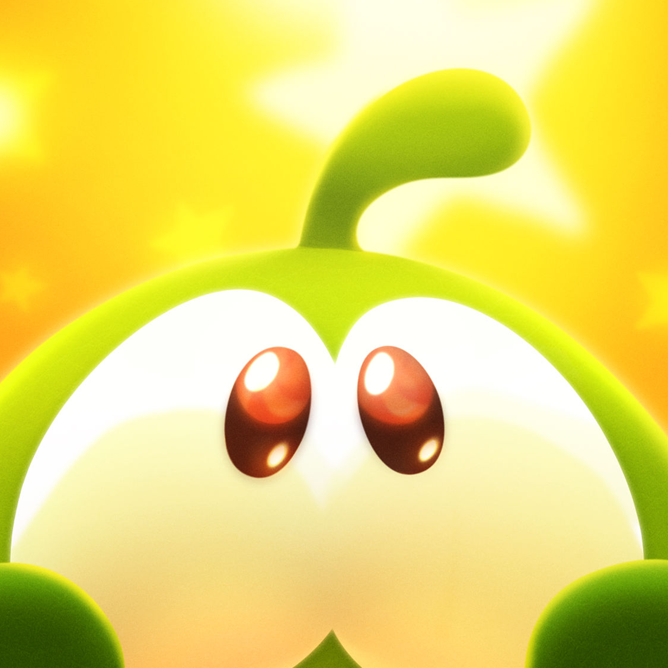 According to IGN, Cut The Rope developer ZeptoLab has partnered with production company Blockade Entertainment to create a computer animated movie based on the game's adorable monster protagonist Om Nom. Om Nom: The Movie is currently scheduled to release in 2016, notably the same year that the Angry Birds movie will hit theaters. Om Nom tells the story of 13-year old Evan, a boy whose impulsiveness leads him to open a secret package containing a living scientific experiment - with mischievous intentions! 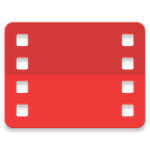 If you use a Nexus 5, or even if you can just get your hands on one long enough to add your Google account, you might want to investigate the Google Play Movies & TV app. According to posters at Slickdeals and our own devices, owners of the N5 are being treated to a free digital copy of the 2013 astronaut thriller Gravity. Just open the app and tap "add to library," and it's yours to keep and play back on any Android device or browser. It's even being given away in HD. This does seem oddly limited to the Nexus 5 - we've tried it on other devices, including the OnePlus One, the Nexus 7 2013 running the Android L preview, the LG G Pad 8.3 Google Play Edition, and the DROID MAXX, and all of them seem to be offering Shaun The Sheep: The Big Chase instead.